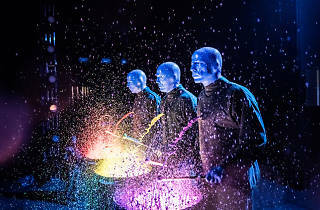 Blue Man Group are a rare type of act. 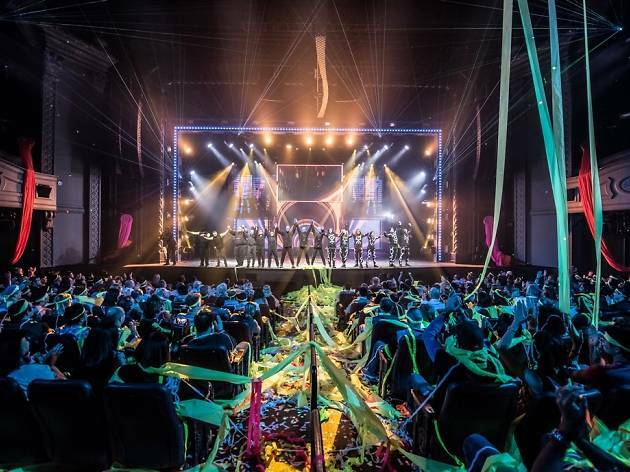 Formed in 1991, the performance art company has packed out arenas the world over with its creative stage productions incorporating music, comedy and technology exploring the modern condition. In many ways, they transcend the trend of Insta-fame and YouTube celebrity, in which acts are deemed passé as quickly as they’re hyped up as the next big thing. That said, their all-blue stage personas probably don’t make them particularly easy to forget, anyway. 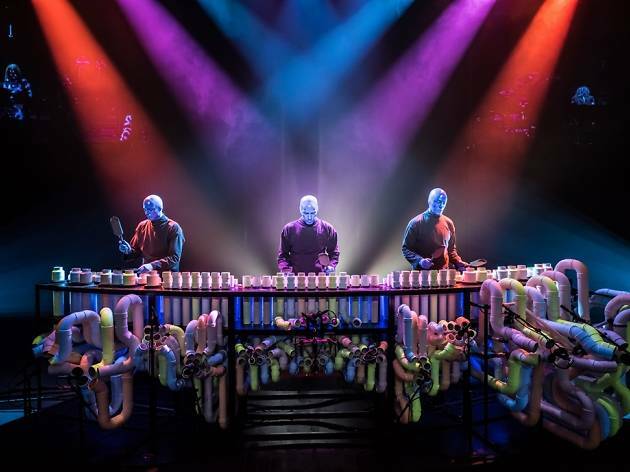 We sit down with the men behind the masks, who, as a collective entity, discuss how their performances transcend time and language barriers and what it takes to become a Blue Man. 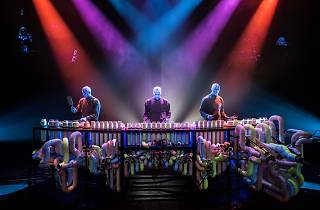 How would you explain the Blue Man Group to the uninitiated? The show is a multimedia potpourri. It’s kind of like a modern type of vaudeville – it’s highly varied and doesn’t stay in any one vibe for too long. It’s comedy, music, design and pop culture as well as science and technology. We started working on the project when the internet and other digital technology was just beginning to take hold. We became interested in defining for ourselves what was essential to humanity in the face of so much change – what about us would remain the same? What does it mean to live fully human beyond the need for food and water and other biological needs? Living in this question gave birth to the Blue Man character. The show takes place in real time – we’re not taking you to another time or place. So the show must reflect the here and now. This means that the parts of the show that deal with pop culture and technology have to change and stay up-to-date and resonate with the way we all live right now. We like to say that the show has to change to stay the same. There are also elements that are timeless – the tribal drumming and things that are more primal in nature and some of the comedy which is derived from the relationship between the three Blue Men. It’s not an experience that can ever be frozen in time. Where does a human end and a Blue Man start? 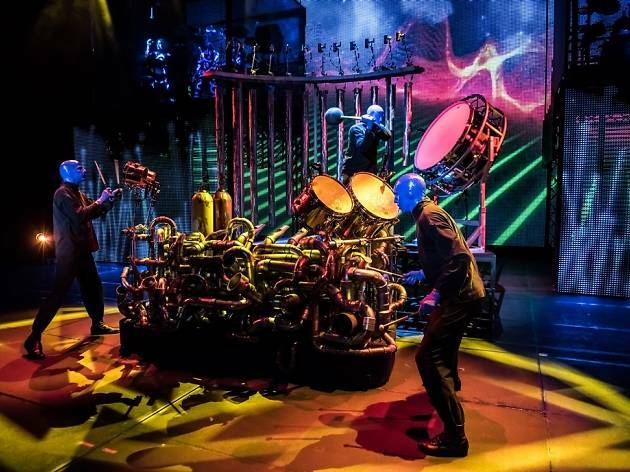 The Blue Man embodies a kind of generic human – he’s an amalgamation of us all. It’s as if he is everything we are as humans, with intelligence, creativity and cognitive abilities, but without the neuroses we develop in our 70-some years on Earth. As such, he’s able to approach everything about our world and culture with completely fresh eyes. So the Blue Man is at once completely who we are and a complete outsider at the same time. We call him an outsider from within. What role does irony play in your work? Any irony in the show comes about due to the innocence of the character. 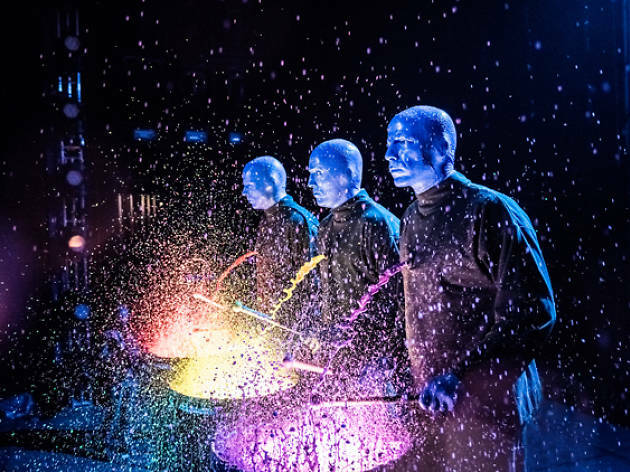 This leads to surprising uses of things common to us – sugary, non-nutritious crunchy breakfast food in the eyes of the Blue Man is not food, but better used as a musical instrument, for example. 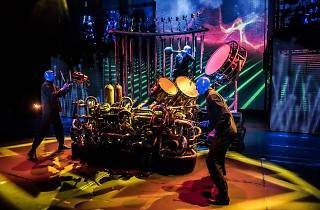 Dramatic irony at times comes about because we in the audience know things about our culture and technology that the Blue Man does not. Macau is the so-called Vegas of the East. What sort of themes are you looking to explore in your shows there? We have had a long-running show in Las Vegas for many years. We love that city and expect we’ll love so many of the same characteristics of Macau. 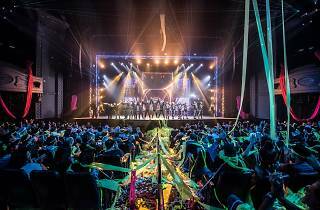 We have found that audiences in Las Vegas love the spectacle, of course. They want to see big and beautiful. But they also want to see the humanity in the show – they still want an emotional experience. We hope to bring the grand visuals of the show but also emphasise the euphoric celebration that we believe all humans crave. There are few feelings more exciting than a room full of strangers coming together in a collective, joyful experience.